Every childs individual learning, happiness and progress is very important to us. Just Swim is a privately owned and operated swim school. We are affiliated with Austswim National. 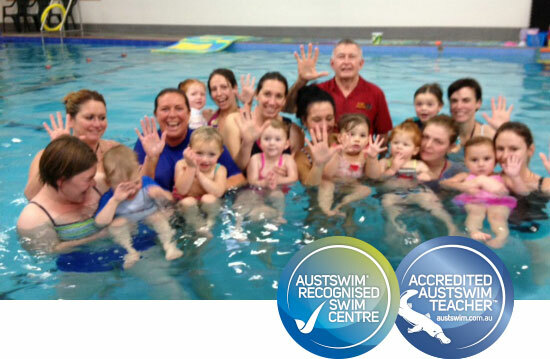 Our teachers hold a current Austswim Teacher of Swimming & Water Safety Qualification, Austswim Teacher of Infants qualification and are trained to deliver safe enjoyable aquatic programs. 2019 Block 1 Commencing 11th February to 6th July 2019 Block 2 Commences 22nd July to 14th December. Book now! We have classes to suit all ages and abilities . View our current timetable on our Water Fitness page. Download our app to be kept up-to-date with everything that is happening at JustSwim. It features Events, News, Documents, and push notification alerts.